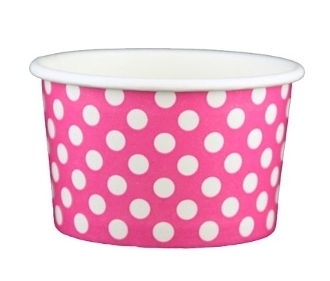 4oz Pink Polka Dot Paper Cups are perfect for ice cream, frozen yogurt, and gelato. These fun, vibrant, pink polka dot cups are one of the best looking cups available to frozen yogurt, ice cream and gelato shops. More colors coming soon!